New York City is a bright ball of light that relies heavily on technology. For those who realize science and technology’s impact on making New York City run smoothly every single day, there are a variety of different places around the city where like-minded individuals congregate. From the aisles of tech stores to the windows at science museums, these are the places every tech and gadget lover should visit in New York City. No other electronics store can claim as deep a history with New York City as B&H. The superstore, located on Ninth Avenue in Midtown, has been in operation since 1973 and their stock has changed with the times. The store is frequented mostly by professional photographers, although anybody can wander in and find some fun gadgets up the aisles — it’s the largest non-chain electronics store in the U.S. The exterior of the Apple Flagship glass cube on Fifth Avenue has become an iconic New York staple. Inside the sunken store are plenty of classes and demonstrations — and, of course, all the latest Apple products. For tech nerds obsessed with design, there is no cooler experience than walking into the Bang & Olufsen flagship. The sleek shop is a perfect display of tech-infused minimalism. Upscale stereo systems hang like wall art, although visitors will be hard-pressed to find any of the hidden cords. This interactive museum may have certain parts targeted for children, but any tech geek should be entertained at the STEM museum. The museum features interesting exhibits on robots, lights and 3D printing. But the coolest exhibit is called “Connected Worlds” which uses each visitors’s gestures, movements and decisions to change a digital world. Rainy day at the hall of science. Gaming nerds will call this Fifth Avenue flagship mecca. Visitors can try out new games versus other Nintendo fans on the latest gaming systems. And those who venture upstairs will find a Nintendo mini-museum featuring a lineup of historical gadgets from Nintendo’s past. Head straight to the third floor of this museum for an interactive experience where visitors make their own digital clips. Guests can produce, present and star in their own movies, shorts and TV shows right from the museum. Plus, there’s a ton of film memorabilia on display for those obsessed with how movies are made. 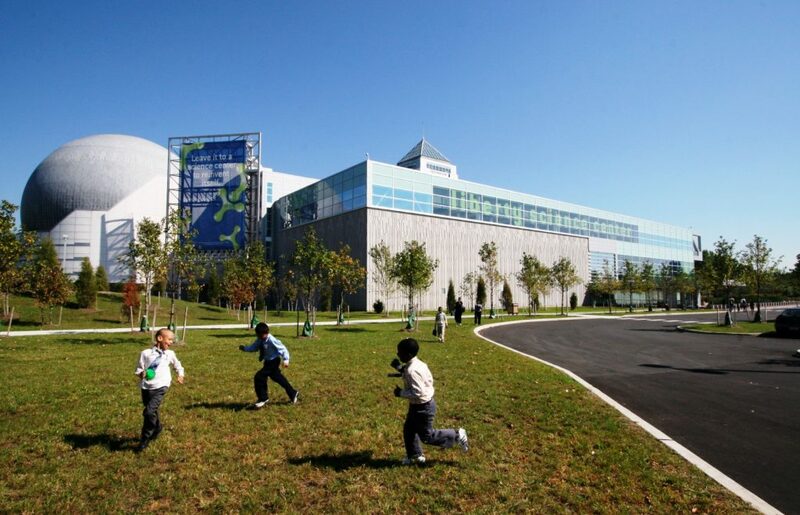 Located just outside of the city, this science center is worth the couple extra minutes’ commute. The interactive museum not only has informative exhibits but the largest IMAX dome in the whole of the United States. Visitors should be sure to check out the Hoberman Sphere, a 700-pound sphere suspended from the ceiling that expands and contracts from a computer algorithm. While the Intrepid has many interesting exhibits featuring the American history of sea, air and space travel, its newest addition is probably what tech enthusiasts will find most intriguing. The former naval vessel is now home to a special drones exhibit, which details the past, present and future of these unmanned aircraft.